Yumi’s Home is a first person 2D narrative game about depression, familial obligation, and isolation. 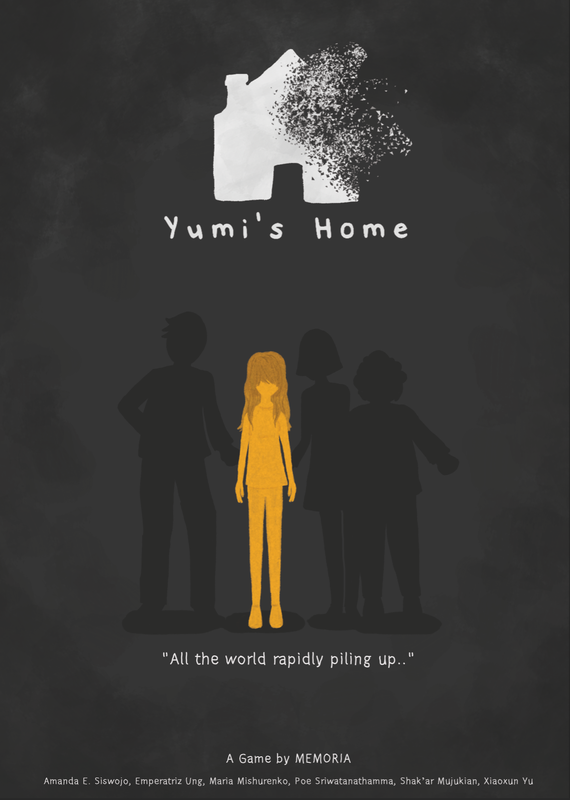 The game focuses on Yumi Mendez, the twenty-three year old protagonist, who moves home after graduating college to help take care of her Great Aunt Nena. 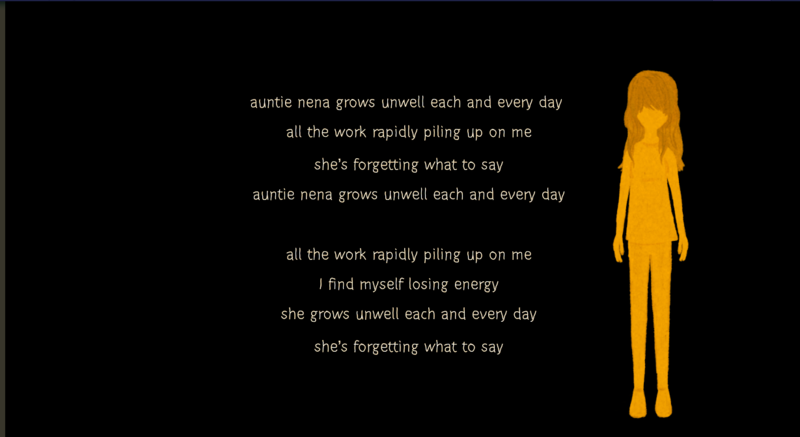 Yumi’s Aunt Nena grows sicker and becomes increasingly dependent and forgetful. 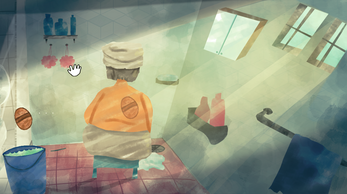 The game follows Yumi’s day-to-day life over the course of a summer placing the player in Yumi’s perspective while she bathes Aunt Nena, cleans her room, shops, and messages her girlfriend. 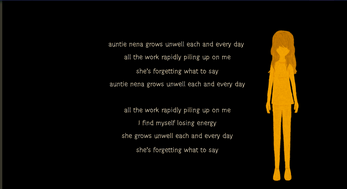 The game relies heavily on text and visuals to give players insight to Yumi’s mood and emotions as they change over time. Our goal is for players to connect with the main character’s depression and how everyday, seemingly easy or mundane tasks can contribute to changing emotional states. We wanted to address how these tasks can wear someone down. 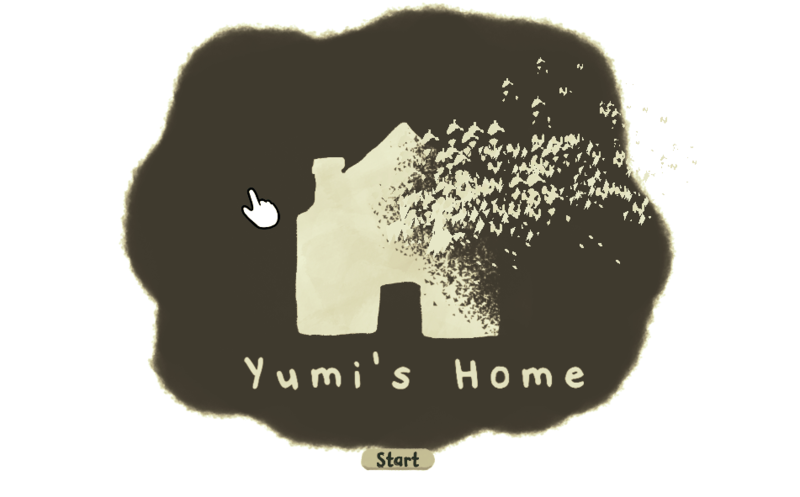 The primary input for Yumi’s Home is the mouse. Pointing, clicking, and dragging the mouse are the main mechanics that appear throughout the game.